There are plenty of Samsung 9000mAh power banks available all around the internet. 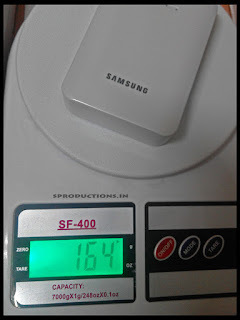 While the original power bank is available from authorised Samsung dealers for around Rs.3000, the fake ones are available all over for as low as Rs.600. I recently bought one from one of the most reputed online sellers in India for a dirt cheap price, just to check whether its original or not. I placed the order, paid through a credit card, got it delivered before time, all nice and hunky dory. 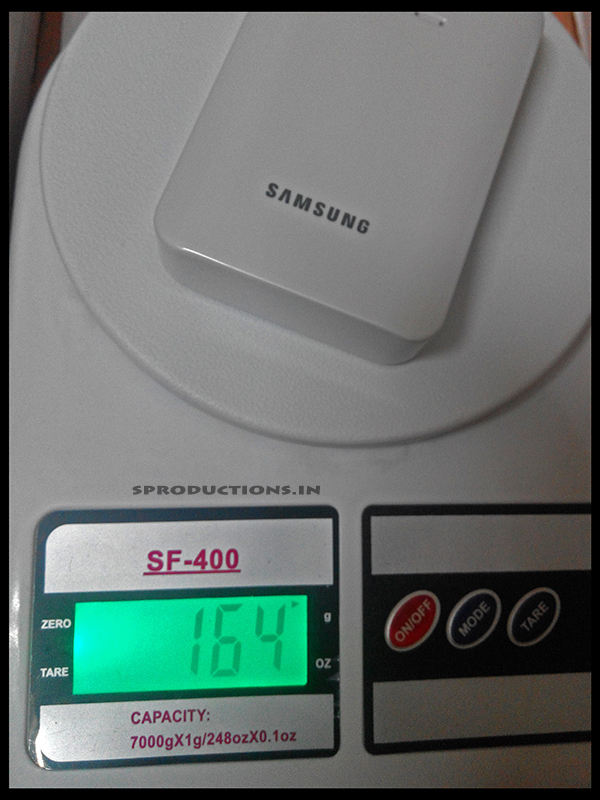 The Samsung official website states the weight of this power bank to be 265 grams.The one I received weighs 164 grams, 101 grams short. If the box that it came in does not have a barcode or a 3d hallmark from Samsung, it definitely is fake. 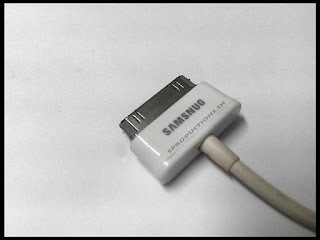 If you notice carefully, the proprietary 30-pin cable included inside the box has a branding of "SAMSNUG" instead of SAMSUNG. A multinational company like Samsung would not let this happen. 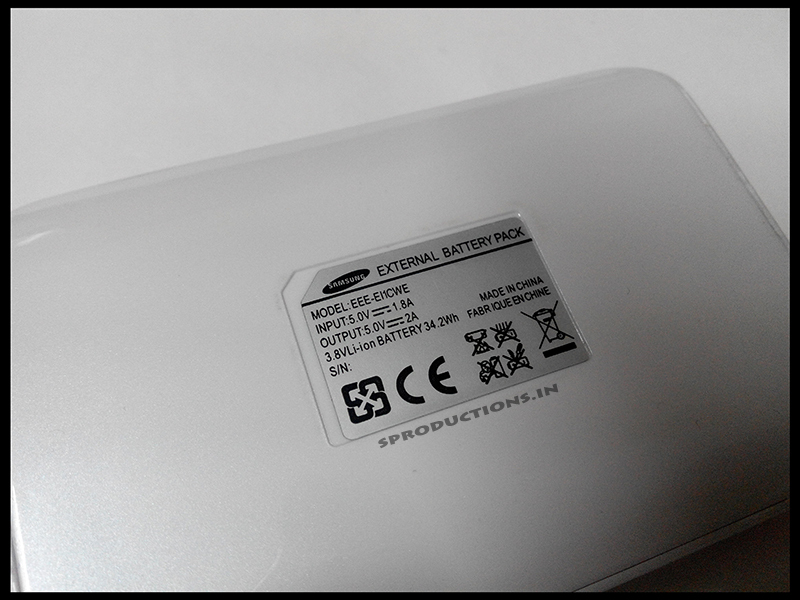 Turn the external battery pack upside down to check if the S/N is mentioned on the sticker. If it does not mention the S/N, its a fake. 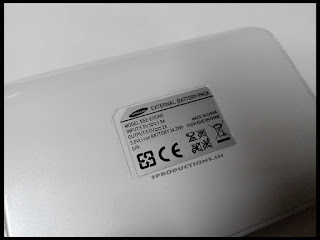 The original Samsung 9000mAh battery pack does not have a LED torch on it. The only LEDs it has are the battery level indicators. If the one you've got has a torch, its a fake! The battery indicator LED lights should light up in two colours. Red while charging and Green while discharging. If you have blue or any other colour emitting out from the LEDs, its a fake! 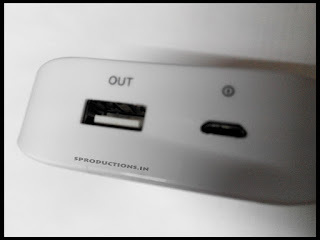 Check the USB port of the power bank, if its white in colour, its a fake. The original power bank comes with a black USB port on the inside. I disassembled the power bank to check the number and the capacities of the batteries inside. Once opened, I found that there were 3 batteries attached to a circuit board. 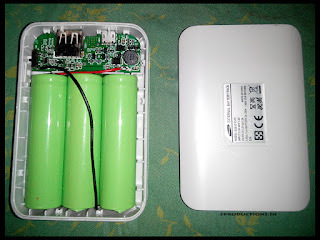 There were no labels or marks on the battery indicating its capacity. Usually all batteries come with capacity marks printed on them. Samsung does not mention anywhere on its website/specification list for this product the capacity or the number of batteries on the inside. Although, the fake product I received had 3 batteries on the inside, if you have any less than that, its definitely a fake. I hope this article was useful to you, please share it so that others can find it too and avoid getting a fake Samsung external battery pack. Please subscribe to my blog and YouTube channel via the social media circles mentioned below for regular updates and interesting articles like these.